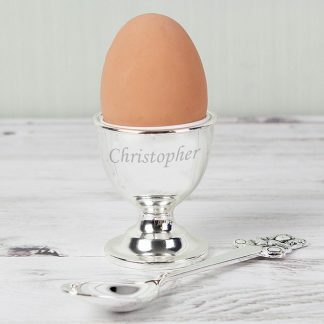 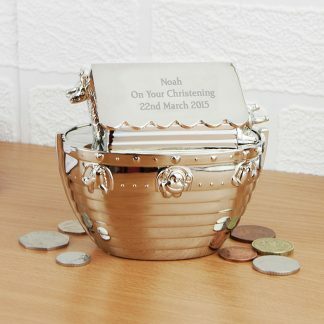 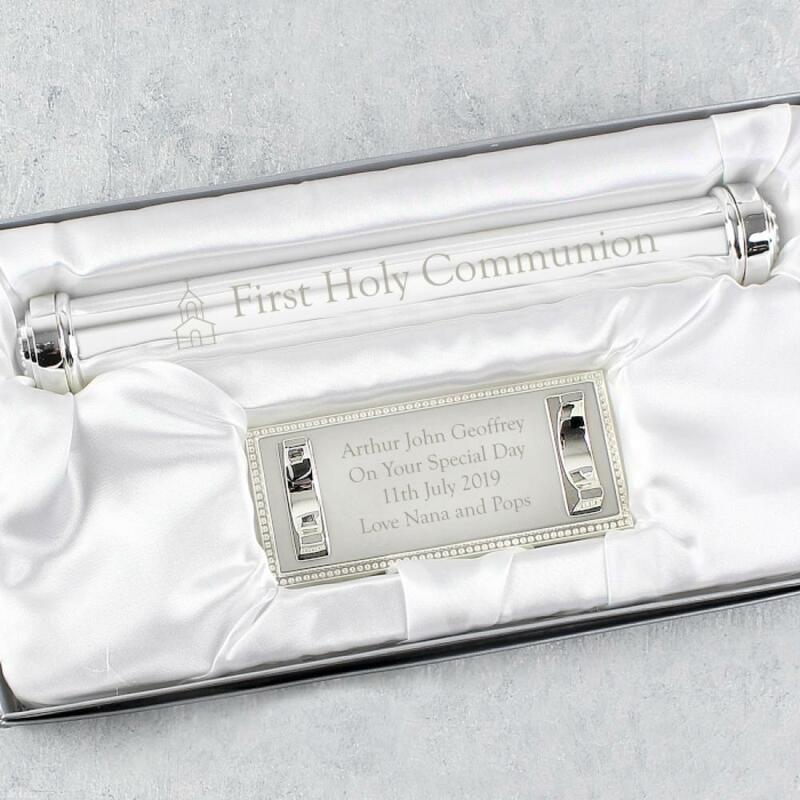 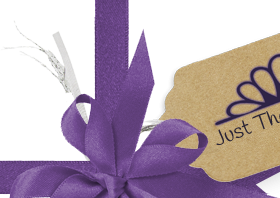 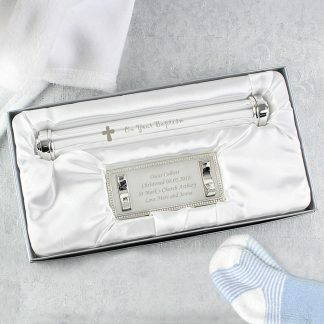 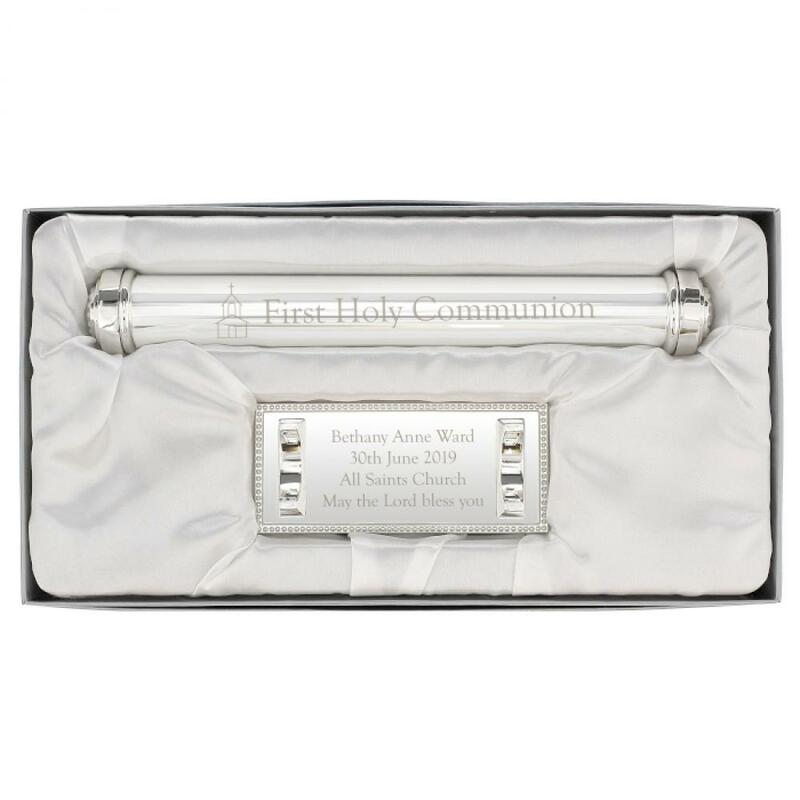 Keep your little one's Baptism Certificate safe in this Personalised Silver Plated First Holy Communion Certificate Holder. 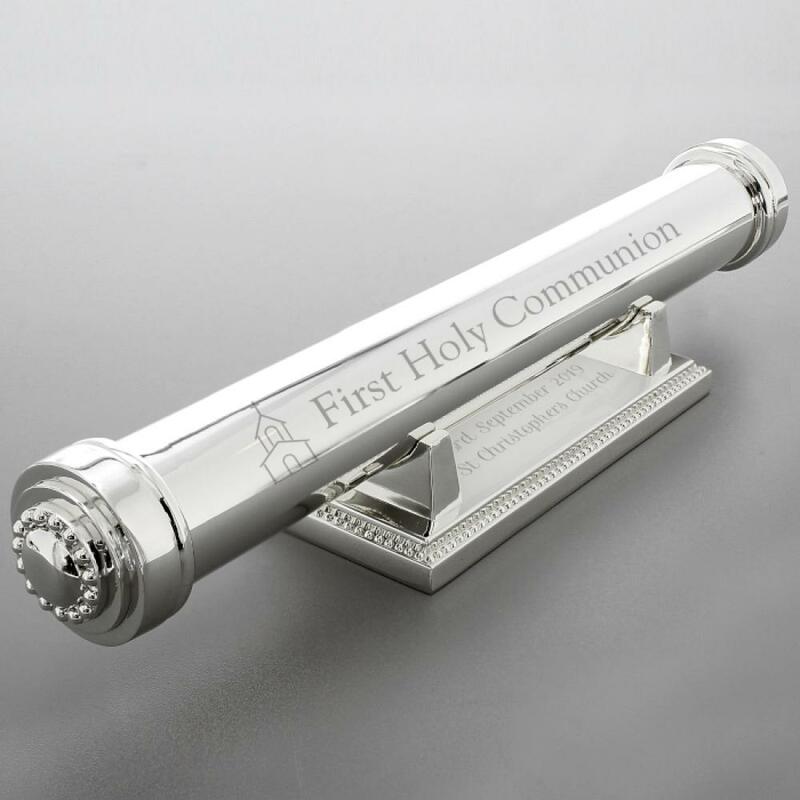 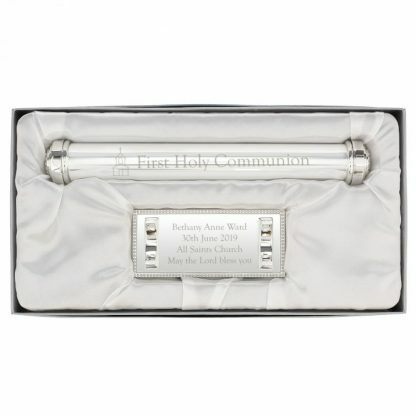 The words 'First Holy Communion' are fixed text on the holder. 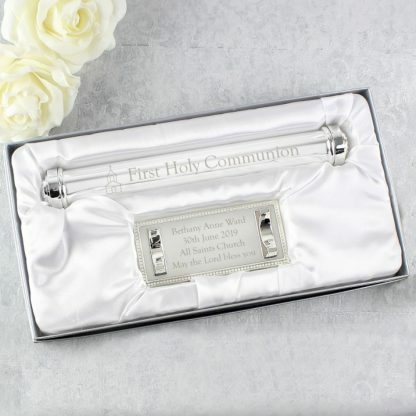 First Holy Communion and New Borns.